Gigawatt Global’s utility-scale solar field in Rwanda boost’s the country’s electricity generation capacity by six percent. Gigawatt Global has officially launched its $23.7 million solar energy plant in the East African country of Rwanda, which the company financed, constructed and interconnected 12 months after the official signing of the Power Purchase Agreement. The facility was opened on February 5th with a ceremonial ribbon-cutting event led by led by Rwanda’s Minister of Infrastructure, Hon. James Musoni, and the Chief of Staff of the U.S. Government’s Overseas Private Investment Corporation (OPIC), John Morton. International representatives of the partners that developed the landmark project were also in attendance. The 8.5 MW solar farm is located at the Agahozo-Shalom Youth Village (ASYV), a residential community and farm which aims to provide care for Rwanda’s most vulnerable children orphaned before and after the Rwandan genocide. 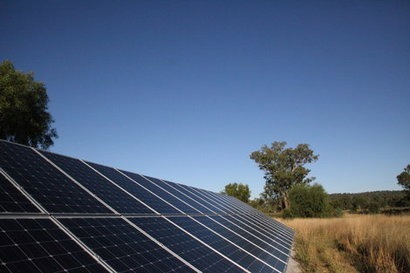 The village has leased the land to house the solar facility, the fees from which will help pay for a portion of the Village's charitable expenses. Gigawatt Global will also be providing training on solar power to students of the Liquidnet High School on the grounds of the Youth Village.